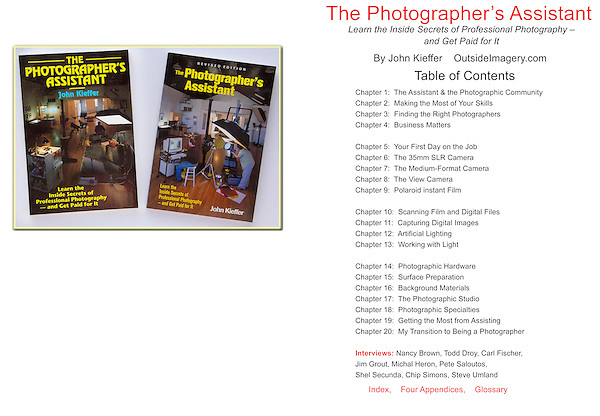 Until, "The Photographer's Assistant," nothing had been written on photo assisting and how to get into photography. It's now a classic. Soon afterwards, John began lecturing and teaching workshops in New York City and Los Angeles at photo trade shows.